Did not get picts of whole board. 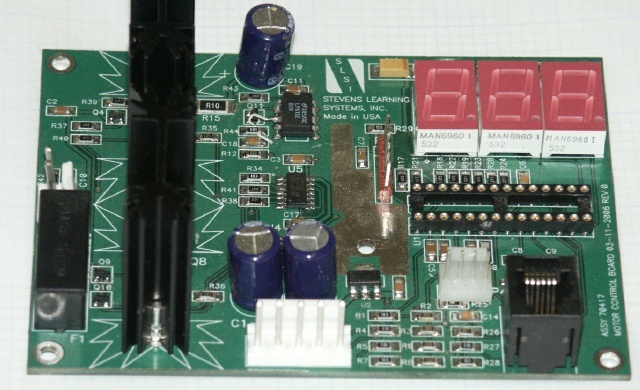 Board consisted of an RCM3900 module, 10 LEDs, with +12, +5 and -12V switching power supplies all several amps. The board support 3 Industry Pack modules. 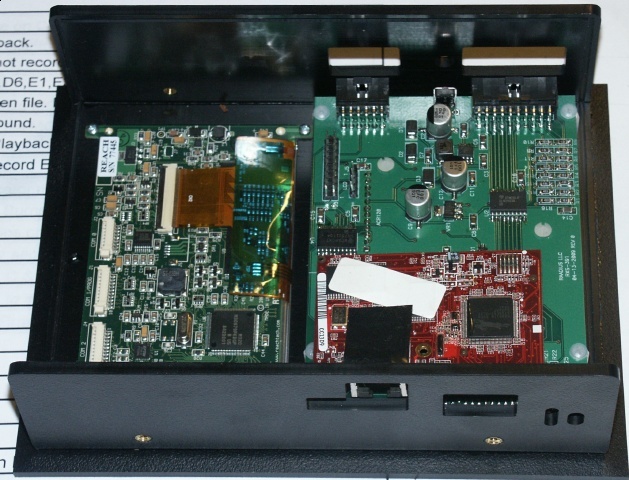 This bus is implemented in 3 Xilinx XC95144XL CPLD's. Stan did a great job on the layout. only 2 layers and most of the top and bottom are solid ground planes. 1050 pins on board. Only board change was a pushbutton was laid out backwards. 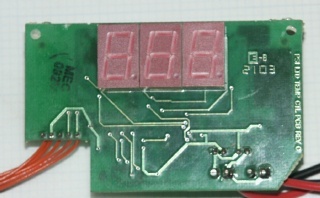 Layout: STan Busa, 4-layer, 12mil traces. 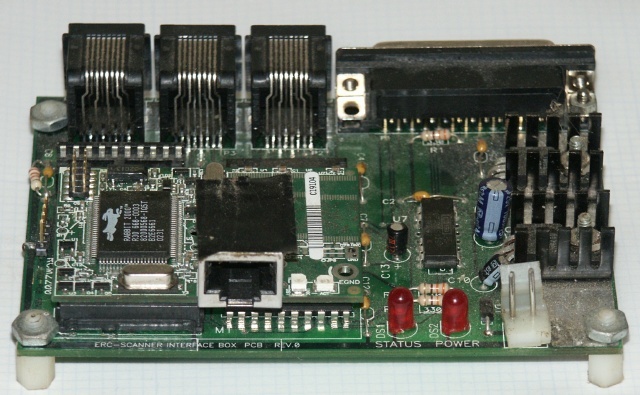 Rabbit RCM3200 CPU module. USB port, Infrared transmitter, 12 serial ports, CPLD, battery backup for RAM/RTC, DC/DC switching supply and linear regulators. 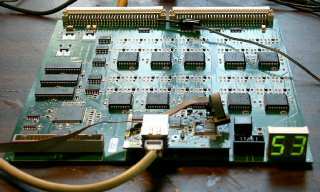 Audio amplifiers and multiplexers. Designed for 19" rackmount case. RCM3900 Module, 4 serial ports, 8 digital I/O, switching power supply, 2 buttons, 2 LEDs. Board on right is the one designed. Left is LCD display. Rabbit RCM3400 CPU, 10/100 Ethernet, SPI interface, A/D, Compact Flash interface, battery backed RAM. 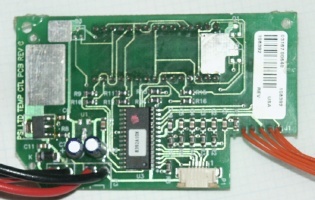 POS serial/Ethernet/Printer interface. 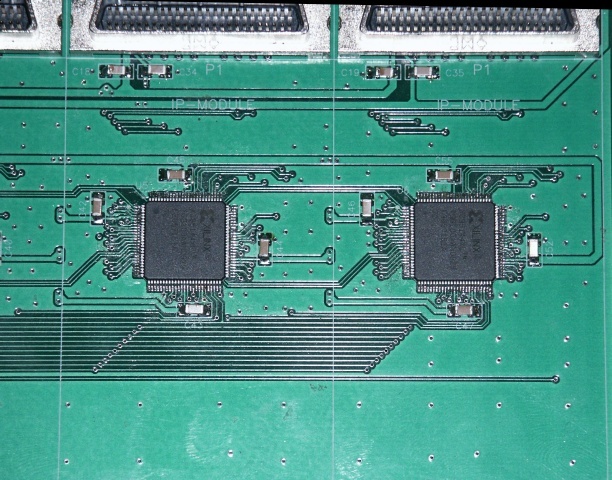 RCM2200 CPU 3 serial ports. 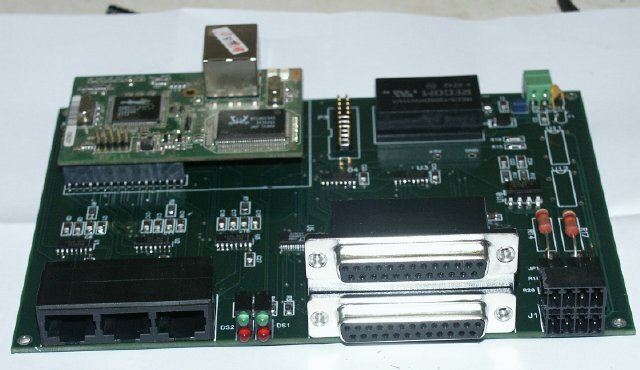 Language Lab Testing Board, RCM3200 CPU module, Motorola DSP56309 Signal Processor, 40-channel voice CODECS, IDE Interface, 2-digit LED display. 450 parts! 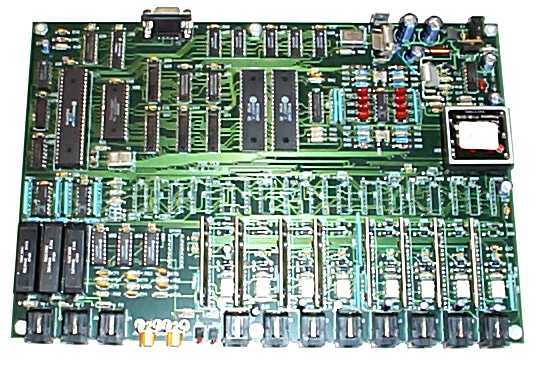 3 in, 8 out PBX, serial PC interface, Motorola MC68HC11 CPU, ring and tone generators, Caller ID decode and DTMF decoders. 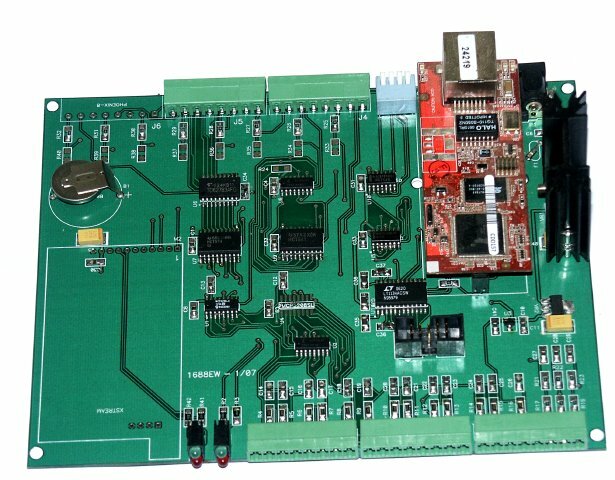 Generac / Gardian Generator Control Board, Z-World RCM3700 module, A/D for bat and AC voltage, frequency counter, relay outputs. Rabbit RCM3750 CPU module, 16 A/D channels, relay outputs, serial port, radio module.